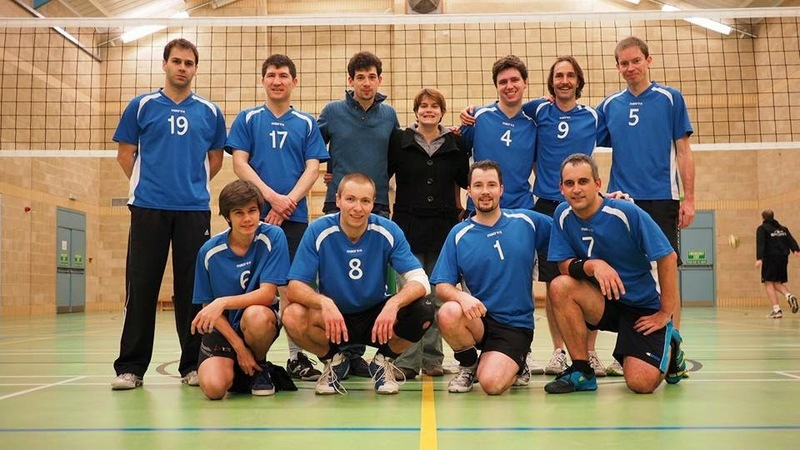 Oxford Volleyball Club: What a year for the Bulls!!! What a year for the Bulls!!! What a year!!! We made it!! It’s the first time that both Oxford Mens teams are staying up in Division 1 of the Berkshire league. Our “success” didn’t come easy though. I call it success, because our year’s objective was to stay in Div 1, unlike the last time we got promoted and failed to uphold the qualification. We started our games quite early in the season, having to play against last year’s leading teams. We were struggling to find our rhythm and formation. Four months into the season, Maïté offered to take up the coaching position and decided to radically change our formation. Chichi was moved to the libero position and Ben became our main opposite. This offered some advantages: more variety & stamina at the front by letting the middles rest for 3 rotations, and an improved pick-up rate at the back… We started winning games immediately after introducing these changes. We also did some video viewing to help & improve on very specific topics. We were a bit lucky in the end, but we managed to secure important victories against our direct competition (Spikeos 2 & Basingstoke) but also against some stronger teams like Newbold as well. This was enough to give us 1 point more than our direct opponents. This success wouldn’t have happened without our amazing players: Luca “One Knee”, Seb “The Blind Setter”, Simon “The New Father”, Anders “The Octopus”, Adam “More Power”, Ben “The Rookie”, Dan “The Oldie”, Tomas “The American”, Hanif “50%”, Chichi ”Floor Mop”. Many thanks to whoever came to support us, and a VERY BIG thankyou to our coach Maïté!!! We probably wouldn’t have made it without her.